Microsoft updated OneDrive recently which includes the ability to upload your music collection and listen to it with Groove Music. This is nice since you don’t need to have a Groove Music Pass subscription ($9.99/month) to do it. Update: 8/20/2015: This article has been updated to reflect the changes Microsoft made with the release of Windows 10. The company has rebranded Xbox Music to Groove Music. With the update, Microsoft added a folder named “Music” where you can start loading your songs. If you don’t see it for some reason, just go ahead and create your own. The important thing here is it needs to be named Music and nothing else. 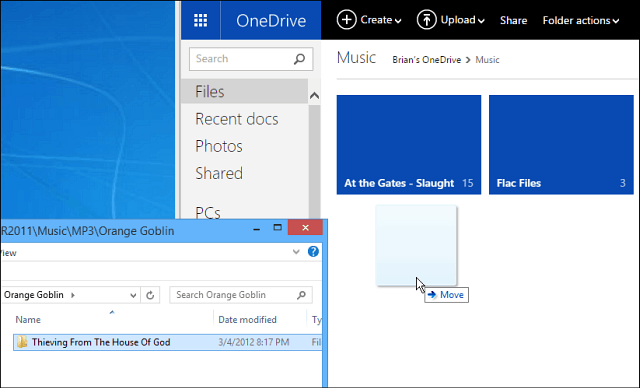 You can load music by opening your OneDrive account in a browser, then drag it to the music folder in OneDrive as shown below. Or you can use the OneDrive desktop client too. But remember, even though the music folder containing the album you want transfers to the folder quickly, you’ll still need to wait while it syncs. If you have a large collection, you want to upload, count on it taking a few days to complete. What I recommend is starting with a few songs, or an album or two before going all in. Then, if you like the way everything works, you can go ahead and upload your full collection. 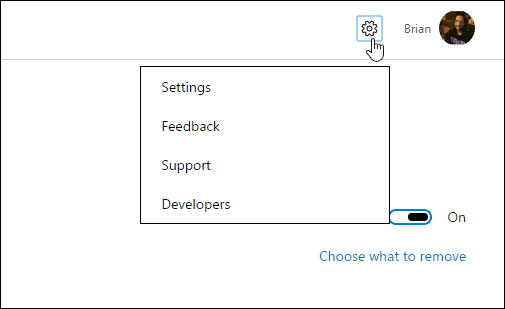 Once your music is uploaded, (MP3, M4A (AAC), and WMA file types are supported), you can use the Groove Music app on Windows 8.1, Windows 10, Windows Phone, Xbox 360, Xbox One, and the web version of Groove Music player. If you’re using Android or iOS, the app has been updated, and now any music in your OneDrive Music folder will appear as part of your collection. It’s important to point out that that Microsoft’s upload limit is 50,000 songs, which is the same limit as Google Music. Also, once you’ve loaded your collection, if you’re a Music Pass subscriber, you might find a lot of duplicates. For instance, I added several Dream Theater albums to my collection from the streaming service, and I uploaded the same albums from my collection. Preventing duplicates is an easy fix, though. 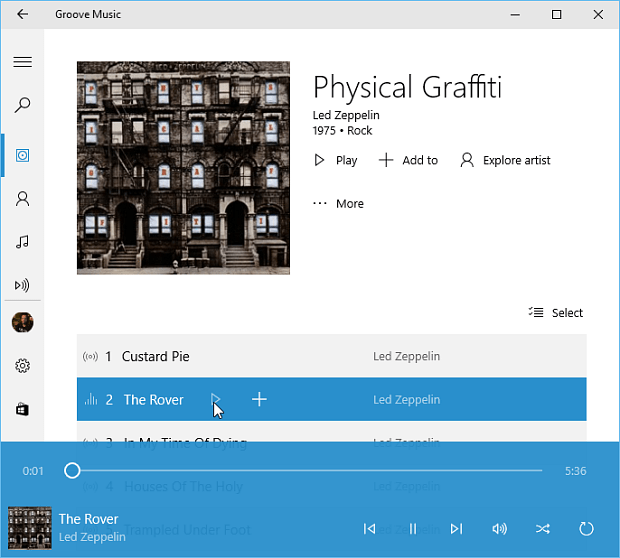 Head to the Groove Music web player or the app on Windows 10 and head to Settings. There you’ll see two options under the Collection section. 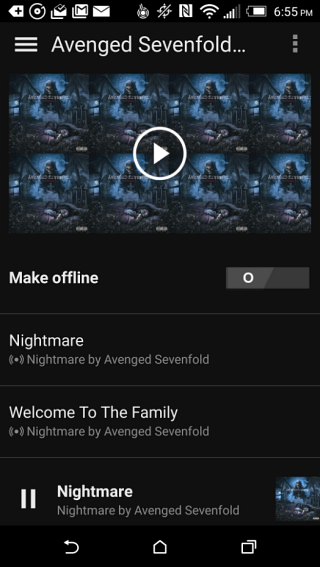 Turn on the switch to automatically remove duplicate songs from your collection. 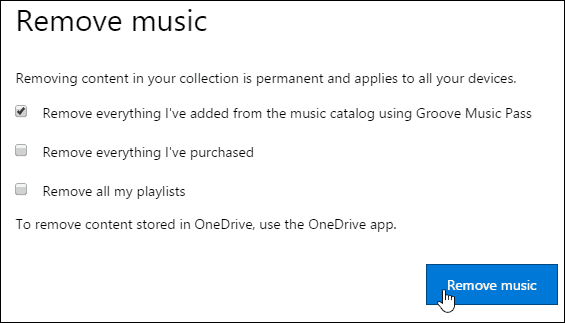 That will remove the Groove Music Pass version of duplicate songs, and not your version stored on OneDrive. This is nice if you like uploading your music at a higher quality bitrate. One of the neat features in Groove Music is that you can filter through music that’s only on your OneDrive, but this feature isn’t included on the mobile versions yet. 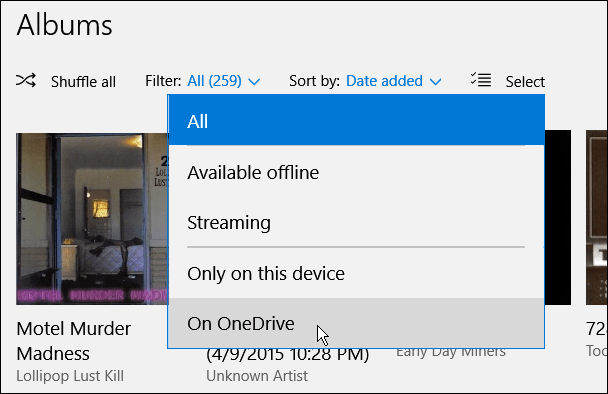 Enabling music playback via OneDrive is a long overdue feature that users have been wanting for. The nice thing about this is you can add music from your collection that isn’t included in the streaming service. It’s also worth repeating, to use this, you are not required to have a Music Music Pass subscription.